Goddamn...what a good year for the genre, huh?! It was such a great year that it was tough to whittle this year's Best of Lists down to any kind of sensible number. Otherwise, we'd be here all day. Thankfully, Matt Dean is one of the most sensible Deviants around and he was able to chop his list all the way down to 10 films. Ten films which represent the best of this year's offerings compiled by an intelligent individual with a burning passion for the genre. 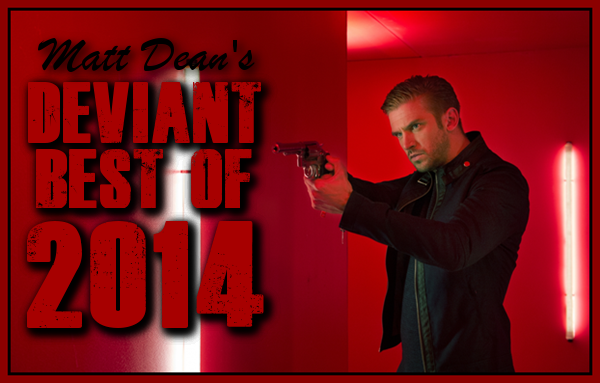 Ladies and Deviants...here now is Matt Dean's Deviant Best of 2014! 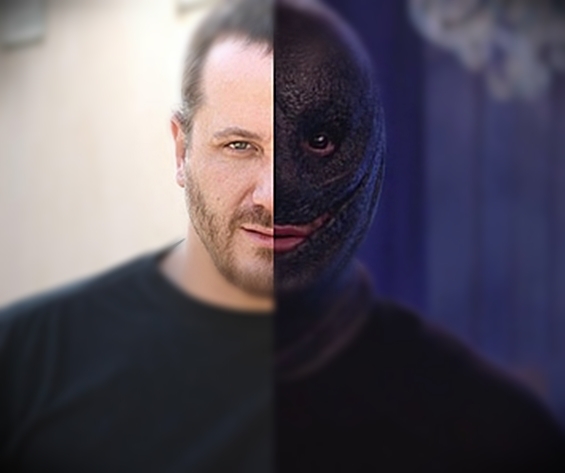 Adam Wingard, director of A Horrible Way to Die, You’re Next and segments in VHS, VHS 2 and The ABC’s of Death, has created something that, at times feels not fully realized, at times a total miss and at other times a super-stylized throwback to the 80’s that I’d love to see more of. 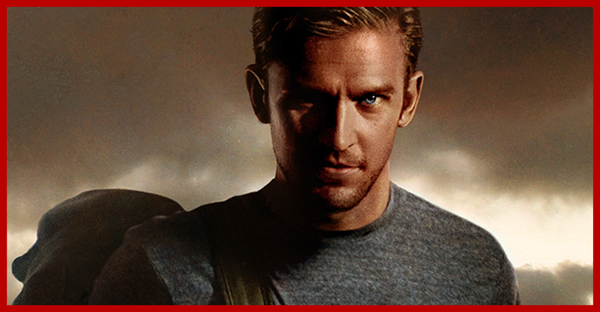 The film centers on David, a soldier visiting his fallen friend’s family after serving in the war together. The first half of the film feels like a very generic Lifetime movie (albeit with a number of brutal fight scenes) where the new guy in town helps out each of the family members in different ways. Bullies at school, boyfriend issues, work problems, folding laundry, you get the idea. Then the film takes a sudden turn into what can only be described as some sort of action/sci-fi film that would show up on the USA network. By the time it’s clear that David doesn't have the family’s best intentions at heart, the film goes into a pretty great cat-and-mouse horror chase, culminating in a fantastically cool scene set in a haunted house of sorts. The film also stars fairly new on the scene Maika Monroe who will play the lead in next year’s highly anticipated It Follows and does a good job here. I’m not a found-footage hater – when it’s done correctly. And Willow Creek, by the very unique voice of Bobcat Goldthwait, does almost everything right. As with most found footage, a couple is documenting their trip to investigate the unknown. 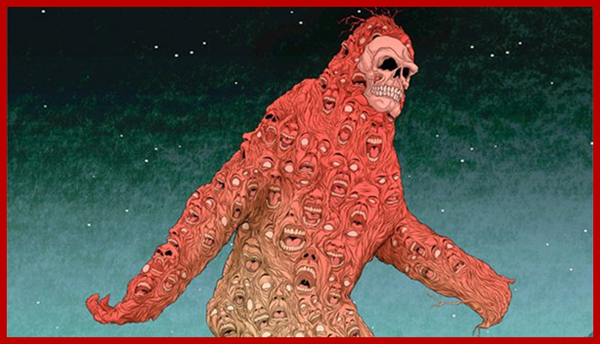 This time it’s Bigfoot, travelling to the site of the original, now iconic footage of Bigfoot walking out of the woods, turning, and looking at the camera. While most films of this sub-genre work with jump scares and shaky camera scenes that seem to go on and on and on, Willow Creek is a quiet and subdued film that rests more on the dynamic of the leads than the cheesy tropes we are all used to and tired of. There’s a scene inside of their tent that lasts probably 30 minutes and the film is only 77 minutes long. It’s these scenes, though, that are the backbone that lead you to the very interesting, puzzling and thought-provoking finale. There are a number of outcomes that are possible, each one a bit more bizarre than the last. And those last few minutes are why Willow Creek is on this list. It changes the dynamic of the film altogether and makes you want to immediately watch it again. This year it seemed like horror fell into two categories: films with almost no laughs in them and films that, no matter the content, had you almost laughing out loud numerous times. Cheap Thrills fits into that second category because it’s funny as can be – largely due to the terrific cast. David Koechner (Anchorman) and Sara Paxton (The Innkeepers) are a filthy rich couple who are out on the town looking for a little fun. Pat Healy (The Innkeepers) and Ethan Embry (Can’t Hardly Wait) are old friends, one short on cash and one perpetually on the wrong side of everything, catching up on old times. When the couple starts daring the two friends to do increasingly abnormal tasks for money, things start to get a little crazy, culminating in some pretty horrific scenes. What’s billed as a horror episode of Jackass initially, ends up being an interesting expose on what people will do for money; how low they will stoop, who they’ll screw over, who they’ll hurt, who they’ll kill and it makes you pose that question to yourself at the same time. This is another film that fell into the extremely funny category. Not in like a laugh track way, but just in that ‘this feels like everyday people jabbing at each other dialogue’ kind of way. It’s also a movie that I didn't get to see until late in the year. The film hinges (Both plot-wise and actor-wise) on Morgana O'Reilly, who plays Kylie, a girl who has made a few wrong choices in her life and is forced to move back in with her mom and is forced to wear a house arrest anklet. She’s ungrateful, disrespectful, lazy, messy and just makes for a really bad roommate. After a few weird nights, Kylie begins to think that the house may be haunted. Luckily, her parole officer just so happens to be a paranormal enthusiast and the two set off trying to find out what’s really going on. I won’t reveal the plot twist here, but it’s simultaneously creepy and heart-warming. 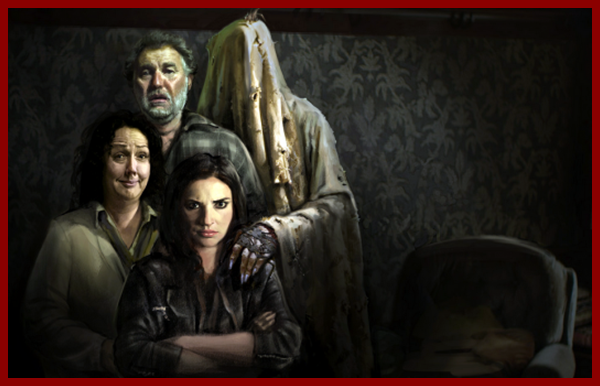 The film comes from New Zealand and there’s really no surprise there since Dead Alive, Black Sheep and the other 2014 horror comedy What We Do in the Shadows also came from New Zealand. They know how to meld laughs and thrills in the kiwi country. As with the other annually recurring themes I mentioned in this list, another is the theme that truth is sometimes stranger, and can be much more horrifying, than fiction. This film is based on a true story; sadly, I couldn't find the original article the film maker cites as inspiration, but it tells the story of a Christian youth (Tore) in Hamburg who is “welcomed” into a local family’s home when his time at a hostel has come to an abrupt end. Things start well enough. He bonds with the dad, gets close to their daughter and helps around the house. The longer he stays, though, the more sinister the father’s motives become, but Tore feels that it is his Christian-duty to take care of the situation. The story is really dark, but the performances are the reason to pay this one a visit. I could see this one arriving on Netflix soon, but if you seek it out, it’ll be worth your time. Before I get into this film, let me just say that I love Indiana Jones. I love films about treasure hunting, following clues from the past, secret passageways, skeletons with booby traps, the whole ordeal. It may stem from my adoration for The Goonies. Anyway, I say that because that’s probably why I loved this film so much. The characters in the film are exploring the Paris catacombs for a treasure that has been buried (read that as may not be there at all) for centuries. 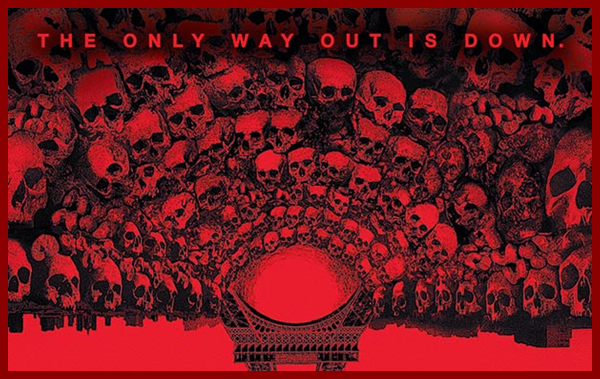 The deeper they go the more bizarre the story gets and the crew doesn't know if they’re hallucinating, if the catacombs are emitting some sort of defense mechanism from their being there or if this is possibly the gateway to hell. Some of my peers had issues with the cleanliness of the finale, but I liked it. They literally go through hell so I was glad to see them find some redemption. I think every year that I've done one of these lists, somewhere Ti West has made an appearance. It’s no secret that I love the man’s work. House of the Devil is as close to a straight-up 70’s film not filmed in the 70’s as you’re ever going to get. And while The Sacrament isn't quite on a par with the rest of his films, it still rides higher than a lot that came out this year. In the film, three journalists from VICE take a trip to an isolated village where a member of their team’s sister has gone to live; mainly checking on her safety, but also hoping to find out more about this probable cult who has embraced her. The leader of said cult is played in superb fashion by Gene Jones (from the “Call it, friendo” scene in No Country for Old Men) and he really does steal the show. 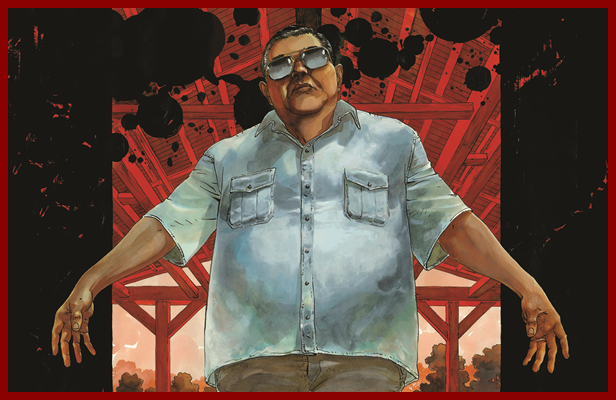 Most of West’s films have some sort of intangible evil in them, whether it be Satan/demons, ghosts, whatever, but in The Sacrament he brings it home by showing how evil mankind can be. As a fan of the VICE correspondence, I dug the way that this film was laid out before the audience. It didn't feel like found footage, it just felt like an event that was documented. Here we are: my top three, with a film that most people wouldn't really define as horror. It’s more intense than any of the films listed above though and also has twice the heart. 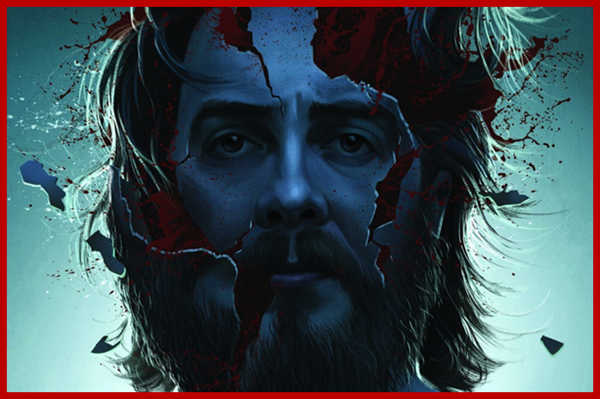 Dwight (played by the absolutely perfect Macon Blair – I’m hoping he sticks around a while) is a man dead-set on avenging the death of his parents. The only thing is that Dwight probably has never intentionally hurt someone in his entire life or doesn't appear to have anyways. So, he’s got to fumble through this ordeal one step at a time. Each scene gets more and more risky and each scene gets more and more intense. This film not only goes on my top ten horror films list, but also on my top ten films list of the year as well. The pacing is perfect, the acting is flawless and the moments of suspense made me feel the need to hold my breath. That’s a successful film in my book and much-deserving of a spot at number three. I’m going to catch hell for this, assuredly, because it’s technically not a movie. 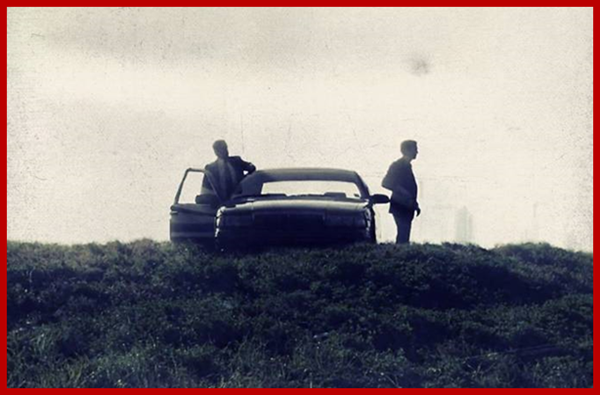 But, for True Detective fans, this “show” was so much more. It was an event. It was powerful. It was ever-engaging. It wasn't just a short show; it was a long movie. It was a movie that we repeatedly pored over and investigated clues and references and it made you realize how amazing the medium really can be. The story revolves around two detectives and their investigation of a cryptic serial killer and their recall of the events years later. Matthew McConaughey and Woody Harrelson have never been better in the leads and everyone else is pitch-perfect as well. And Alexandra Daddario has probably the most memorable supporting performance of my life. It’s her eyes, they’re mesmerizing. Yeah. Anyhoo, this was the horror event of the year for me, but since it’s not a movie then it will reside at numero dos. This is the film I wasn't able to see until late in the year and I had been hearing so many good things about it that I was a little worried about finally sitting down to see it. I've been burned way too many times by the hype-meter. Thankfully, it was everything that it was built up to be and so much more. This story of a single mother and her child who are being terrorized by the character in a book is more than just a horror movie. It’s a study on grief and family dynamics and parent/child relationships. I love horror movies, subtext or not, but when a film has so many layers that could all make for an independently great film and the scares to match – you just can’t get any better. 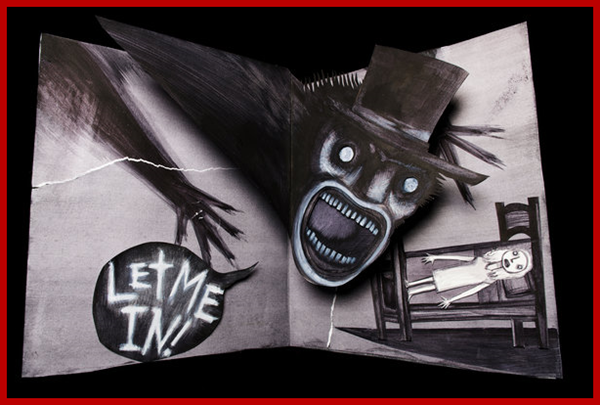 I didn't find the film as frightening as I thought it would be, but I just love The Babadook so much and you really empathize with the characters in their own unique ways. I’d love to see more, but I also just want this not to be fucked with and serve as an apex of what to do and what not to do. Thank you and let's hope for an even better 2015!